For most of us, our life’s journey is seldom straight but full of unexpected twists and turns that hopefully will lead to the fulfillment of our destiny. 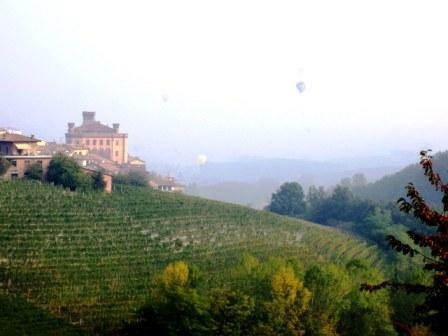 Such is the road that Maria Teresa Mascarello has followed throughout her life and if the saying “all the roads lead to Rome” is true, for Maria Teresa all the roads have led her to her beloved Barolo! As a little gir l, her grandfather would take her on his motorino* through their vineyards, while passionately speaking of the land and its magical, perfect harmony with the environment. 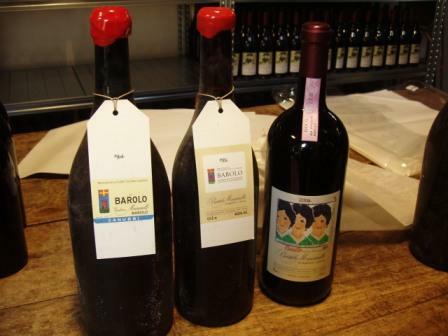 Her home was often a meeting point for many legendary winemakers as well as passionate consumers who would flock to see Bartolo Mascarello hoping to purchase their “yearly allotment” of the prized Barolo wine. But Maria Teresa’s studies at the University of Torino were in linguistics and indeed, much to her mother’s consternation, until her twenties she never even tasted a drop of wine! However wine was very much in her sub-conscious and drawing on her family’s wine making traditions, by presenting her thesis on “Wine and Oenology in French Dictionaries”, her faith was sealed. Maria Teresa’s winemaking responsibilities began in 1998 and nurtured by her legendary father Bartolo, she committed herself to protecting the land, safeguarding the values and the legacy transmitted to her by her family. Under Bartolo’s tutelage hers was an “on the job training”, assimilating the precious and practical knowledge that her father imparted about the land, the vineyards and the wine. Such teachings-the practice of honoring the natural process of fermentation which she equates to “a resting period” for the wine that should not be in any way disturbed or the affinamento* of the w ine in large, Slavonian oak barrels as continuing to make her Barolos not as a single vineyard cru but as an assemblage from seven acres of estate vineyards, were instrumental in forging her own commitment to traditional wine-making practices. Similarly, her decision not to purchase other parcels of land, in order to maintain the same levels of production and the estate within dimensioni umane*, thus ensuring strict quality control. Following her father’s illness and subsequent inability to take on an active role in the vineyards and wine-making, Maria Teresa’s ascendancy to the role of wine-maker was rather smooth. By then it was quite normal to have women at the helm of top estates and she did not feel any resistance on Bartolo’s part to let go of the reins. While he dedicated himself to drawing the now famous labels through which he often conveyed his personal and political views, he became Maria Teresa’s de-facto consigliere*, always ready to impart whatever advice his daughter asked for but without interfering with the process. 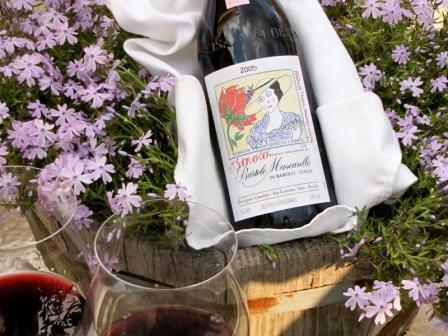 Let’s fast forward now to 2005, the first vintage that Maria Teresa produced tutta da sola* and for which to no one’s surprise her Barolo received great reviews. Lucky for me Maria Teresa presented me with a signed bottle of her 2005 Barolo which I had immortalized in this great photo! But we are not likely to see Maria Teresa globe-trotting, promoting her wines. 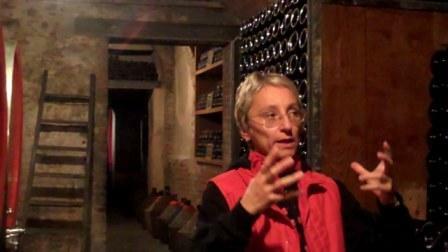 Not surprisingly like her father, she also shies away from most marketing efforts, not taking part in road shows, portfolio tastings etc., preferring to be part of smaller scale events where artisanal producers such as Bartolo Mascarello and their wines rather than the event, are the focus of everyone’s attention. So what does the future hold for Maria Teresa? Chances are her life will not change at all from how she has lived it thus far by still communicating through phone or fax and no internet access! 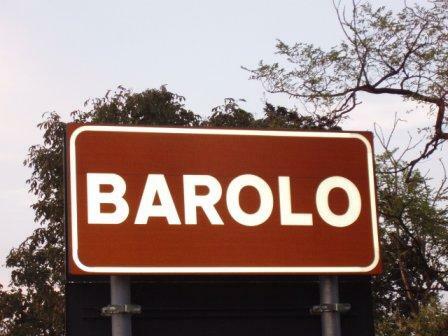 In fact she confessed to me that she has not traveled farther than about two hours from her beloved Barolo, be it by road, train or plane. Hence my pledge to her, that if she will ever want to visit the US or any other country where English is widely spoken, I will be at her full disposal not only as a good friend which I am, but also as her official translator. Allora*, who is ready to issue Maria Teresa an invitation to visit the US? I am certainly ready to assume my role-what about you Maria Teresa? Finally, don’t forget to check out this week’s recipe, this time by Amazing Woman Chef Elisa Burlotto of Real Castello, for the classic Piemontese dessert, Bunet or Bonet (in Piemontese Dialect) . Good article! I’m the author of a documentary movie about and with Maria Teresa and Bartolo Mascarello. Ciao Paolo, thanks for commenting on the Maria Teresa Mascarello piece. 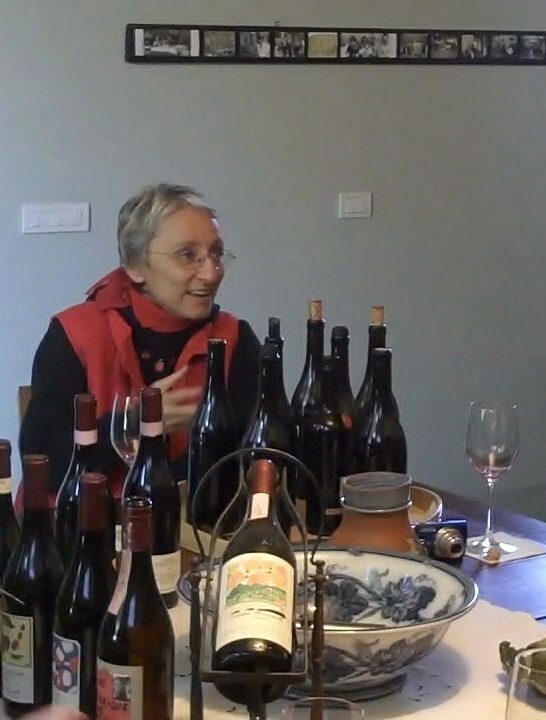 Without a doubt, B. Mascarello’s Barolo is probably my favorite and I admire Maria Teresa’s absolute dedication to the preservation of her father’s legacy. 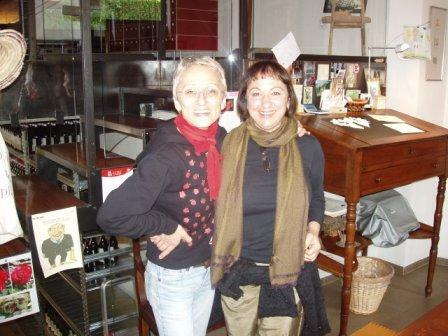 I am in Piemonte quite often e chissa`, perhaps we will meet there sometime and can watch the movie together!